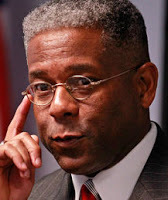 Allen West Still Won't Concede - Joe.My.God. Rep. Allen “Communists Are Everywhere” West and his followers are continuing to scream about “voter fraud” as West refuses to concede defeat over “irregularities” in Florida’s St. Lucie Country. The state issued complete but unofficial results showing Murphy with a lead of 2,442 votes, or 50.4 percent. That’s beyond the half-percent margin needed to trigger an automatic recount. A handful of overseas and military ballots remain outstanding, but under state law the decision for a recount is based on Saturday’s count. West’s campaign insists there are many unanswered questions in the race, mostly centered in St. Lucie County, the only one of three counties in the district that Murphy won. They are concerned that votes were counted twice and have asked to review sign-in books from the polls to ensure the number of voters matched the ballot count. “We’re simply not going to just walk away from the race until we see that the numbers add up,” West campaign manager Tim Edson said. West’s only path forward appears to be through the courts. Under state law, he still could contest the election if misconduct or fraud might have changed its result. Twitter’s wingnuts are screaming that St. Lucie County’s final voter tally shows that an impossible 141% of registered voters went to the polls. But as even Michelle Malkin’s Twitchy site glumly admits, that number being reported actually represents “cards cast” as St. Lucie’s ballot was two pages long. Two cards for each voter brings voter turnout back down into reality.